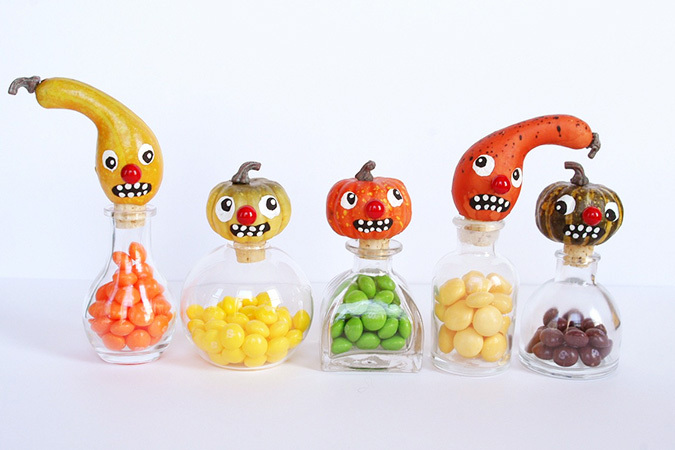 Its that time of the year when the Summer is ending, and Halloween seems just around the corner. 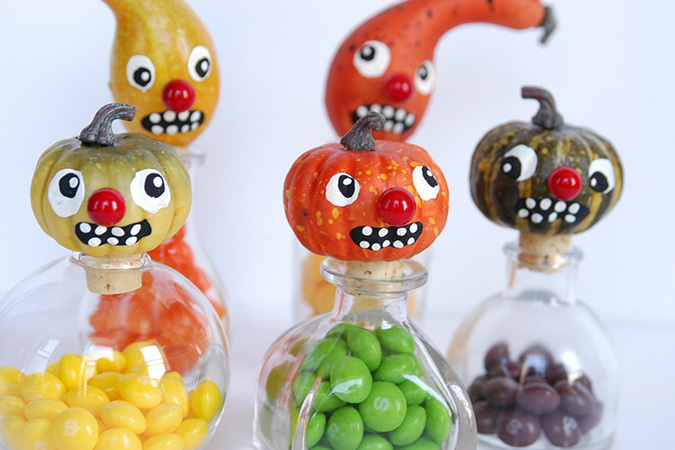 I start seeing the fall items appear in stores and immediately want to start making Halloween decorations. 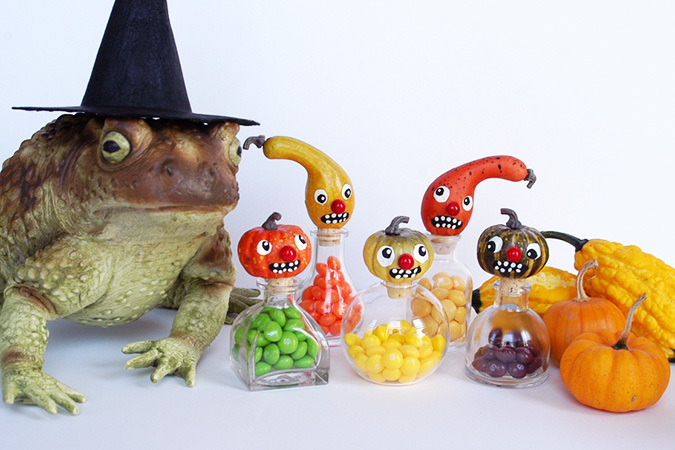 For the past two years I have made “gourd guys” with the faux pumpkins and gourds you can find at any craft stores. First I turned them into ornaments and a topper for my Halloween tree. Then last year year I used them to create a wreath. This year I still had the urge to paint their little faces but wanted to create something new. -floral picks with red berries for noses, these are found in the floral section of most craft shops and come in all sorts of sizes. Round balls or some times longer oval shaped berries. 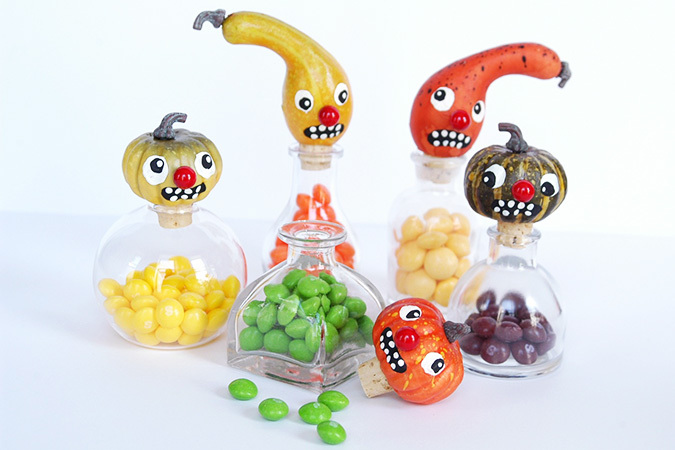 Follow my tutorial for painting the pumpkins faces found here. 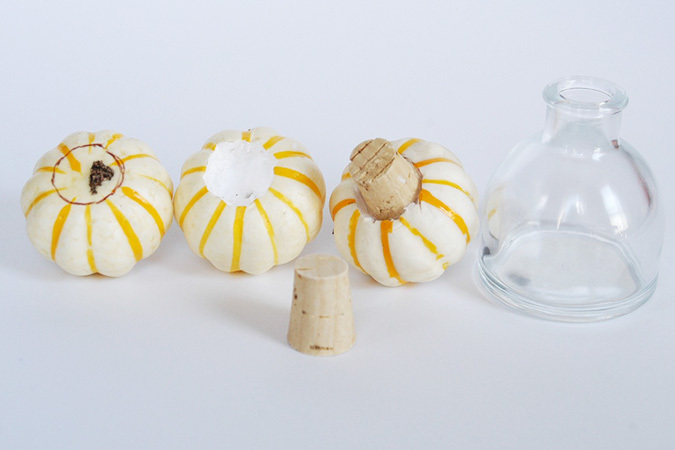 Trace the top of the cork onto bottom of your pumpkin or gourd, and use x-acto blade to carefully cut away a space for the cork. Use hot glue and hold cork in place while it dries. Thats it! Its very easy! 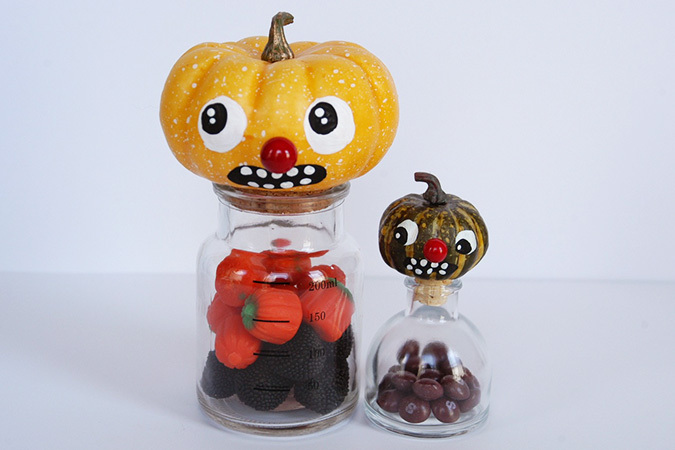 You can make tiny jars, or bigger jars which I think would make fun gifts filled with candy. 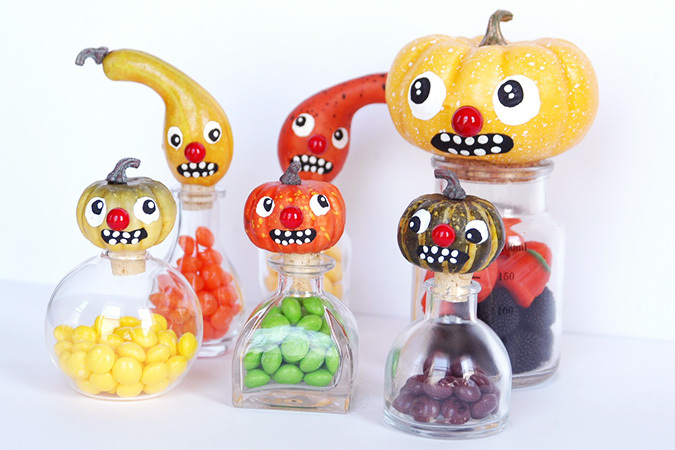 You can fill your jars with sweets, colored water for potions, or even something like bobby pins, q-tips, etc and display them in the bathroom to bring some Halloween decor to other rooms in your home. 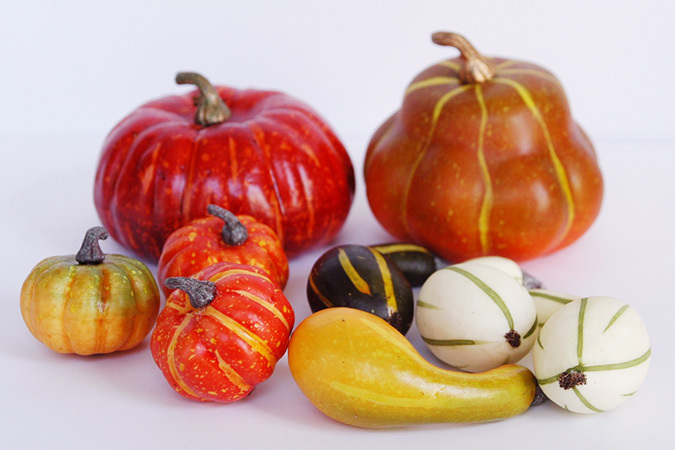 If you choose to make some and post it on social media please consider using the hashtag #gourdguys so I can find it. Tagged DIY, gourdguys, halloween. Bookmark the permalink.